Holiday lighting installations aren’t just festive and fun—they also can be a end-of-season revenue booster, as well as a way to keep some employees busy. “If you’re looking to fill a certain amount of days for your company to help retain employees, holiday lighting is a great avenue, but there are a lot of factors to take into consideration,” says Arnie Arsenault, president of A. Arsenault & Sons, a Spencer, Mass.-based landscape firm and Christmas Decor franchisee. To get the scoop on holiday lighting, we spoke with a few experts: Josh Scearcy (JS), vice president of business development for Brite Ideas Decorating; Brandon Stephens (BS), president of the Decor Group, the umbrella company of the Christmas Decor brand; and Arsenault (AA). Light for more than 90 days.“We try to follow the 90-day code with our customers not to allow them to light for more than 90 days.” —AAArticle 590 of the National Electric Code states that temporary electric power and lighting installations aren’t permitted for more than 90 days. 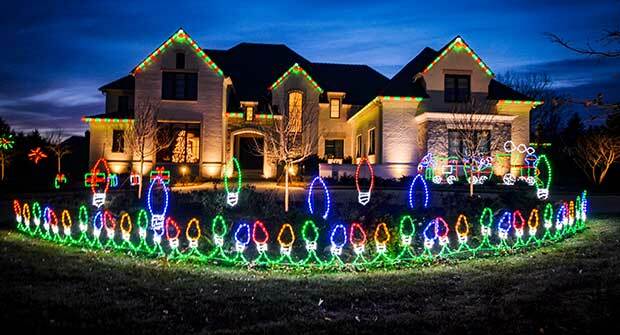 Check out more holiday lighting tips and tricks from the experts.